Today I boarded a flight from Lae to Madang on PNG Air. It was the first time I've traveled on the airline, while I was impressed with the service what put me off was the cost of the ticket - K600. 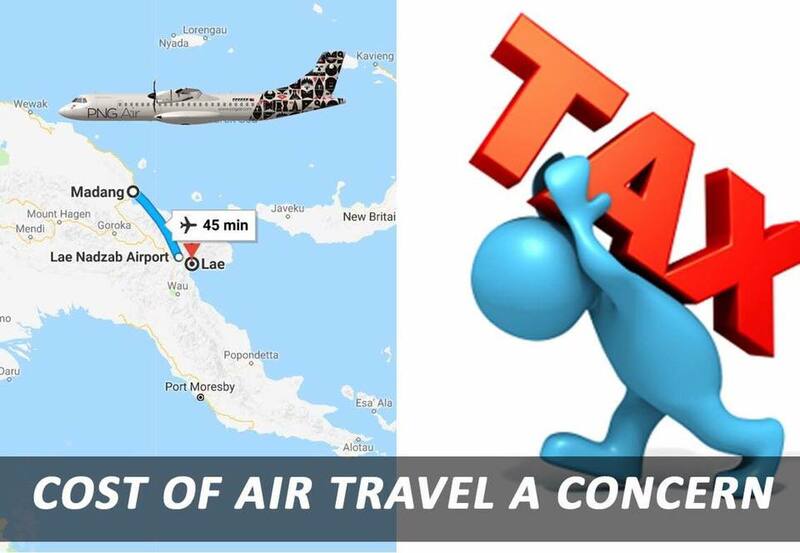 The distance between Madang and Lae is just 200 km yet the price of a ticket is equal to flying on a special from Port Moresby to Brisbane, another country. So foreign nationals and Politicians enjoy flying abroad on cheaper flights than everyday PNGeans in our own country. When I inspected the ticket I noted the break up of cost, PNG Air fees being K272 and Government Tax & Charges component making up the balance of K321. This is certainly ridiculous, where the Government charges exceeds the cost of the actual service. I've been informed EDA Ranu has recently increase the water tariffs in NCD by 600%, Motor Vehicle Registration has also increased by some 40%. It appears the O'Neill Government now broke from running down the country and misusing Billions in public funds is now trying to pass the cost onto the people while Members of Parliament continue to be overpaid, under taxed and yet corrupt MPs still feel the need to steal millions in public funds. As a Member of Opposition and Shadow Minister for State Owned Enterprises I intend to put an end to it this madness. While I maintain the war on the newspaper companies I will start carrying out inquires to establish whether these exorbitant price increases are even legal and what options are available to the public to bring a class action against it.